Hillsborough - Fresh Inquests - the question of Article 2 compliance - In December 2012, the original Hillsborough Inquest verdicts were quashed by the High Court. Progress is being made toward holding the new inquests in 2014. 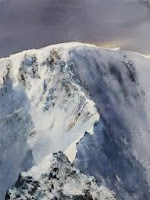 New Year's Eve 2013 (1) - Are Human Rights approaching a knife edge? The protection of human rights is, yet again, in the headlines following an interview on the Radio 4 TODAY programme by former Lord Chief Justice of England and Wales (Lord Judge) - see The Telegraph 28th December 2013 - European Courts have too much power, says former Lord Chief Justice. An extract from the interview is available via this Radio 4 link. There is much in Lord Judge's comments to take issue with but his views will undoubtedly lend succour to those in the present coalition government who harbour an intense dislike of the European Court of Human Rights. After all, it acts as a brake on the massive power that the doctrine of Parliamentary Supremacy (or Sovereignty) confers, in practice, on the executive branch of government. The latest views of the Secretary of State for Justice and Lord Chancellor are covered by an article in The Guardian 30th December - Grayling says European Court of Human Rights has lost legitimacy. Some serving judges have also been critical of the European Court of Human Rights. 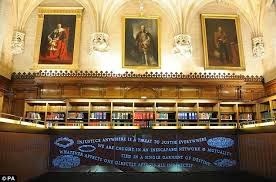 The recent views of Lord Sumption and Lord Justice Laws were considered here and here (respectively). Christmas Day! The Houghton Weavers once asked- "What's Christmas without a brass band" and so here is a superb selection of carols played by musicians of the Salvation Army. I hope you enjoy it. There is also a light-hearted item played by a world famous brass band from West Yorkshire - Brighouse and Rastrick play SANTA. Let us hope that 2014 proves to be a peaceful and happy year. There is much to work for if access to justice and the generally high standards of our legal system are to be maintained. There is much to be done for the less well-off in our country and across the world there are massive challenges. The trial of sisters Elisabetta and Francesca Grillo became a media circus because television celebrity Nigella Lawson (pictured) was the key prosecution witness. The Grillos were accused of fraudulently using the credit cards of Charles Saatchi's private company - Telegraph 27th November. They were acquitted. The sisters claimed that Lawson had permitted them to use the credit cards in exchange for their silence regarding her drug use. R v Grillo and Grillo. This was a claim which brought into play the "bad character" provisions in the Criminal Justice Act 2003 Part 11 Chapter 1. The 2003 Act replaced common law rules relating to bad character evidence and essentially made a fresh start with regard to when evidence of bad character might be used at trial. Bad character evidence of non-defendants and defendants is addressed by the Act. 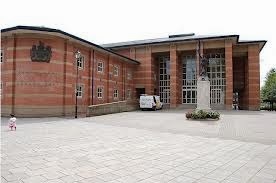 Mr Justice Wilkie has imposed a whole life term on Jamie Reynolds for the murder, on 26th may 2013, of Georgia Williams (aged 17 years 9 months). 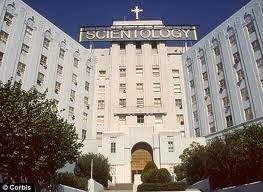 The facts of the case are particularly disturbing and there can be little doubt that a whole life term is justified. Nevertheless, in the light of the European Court of Human Rights judgment in Vinter v UK (Grand Chamber - 9th July 2013), an interesting point is (yet again) raised. This week, a nine judge strong Supreme Court of the UK has been hearing appeals concerning aspects of the Suicide Act 1961 section 2(1) Complicity in another's suicide Suicide. It is perhaps the Nicklinson case which attracted the greater publicity (previous post) though, in this appeal, a Mr Lamb was also joined as an appellant. In Nicklinson/Lamb, the issue is whether the prohibition on assisted suicide in s2(1) Suicide Act 1961 is incompatible with the appellants’ Article 8 right to respect for private and family life. If the answer is yes, the appellants argue that in order to comply with their Article 8 rights s 2(1) Suicide Act 1961 should be read as including a defence of necessity, so that it would not be unlawful for a doctor to assist, or to have assisted, in the suicide of Paul Lamb and Tony Nicklinson where they had made a voluntary, clear, settled and informed wish to end their lives but were unable to do so without medical assistance. Alternatively, if no such defence is available, they seek a declaration that s2(1) Suicide Act 1961 is incompatible with the appellants’ Article 8 rights, in so far as it prohibits assisted suicide in their circumstances. A further appeal, being heard at the same time, is that of AM ("Martin"). For individuals convicted of sexual offences, a new sentencing guideline document has been issued by the Sentencing Guidelines Council - Guideline. The guideline is issued in accordance with section 120 of the Coroners and Justice Act 2009 and applies to all offenders aged 18 and over who are sentenced on or after 1 April 2014. The Crown Court document is lengthy because of the considerable number of sexual offences which it seeks to address. The majority of the offences are as defined by the Sexual Offences Act 2003. With regard to a convicted individual's previous "good character", the new guideline says something which is rather interesting. This was a "leapfrog" appeal (under Part II of the Administration of Justice Act 1969) from a decision of Ouseley J in the High Court to the UK Supreme Court. The "leapfrog" was used because a decision of the Court of Appeal - R v Registrar General ex parte Segerdal  2 QB 697 (Lord Denning MR, Winn and Buckley LJJ) - was binding on the Court of Appeal. 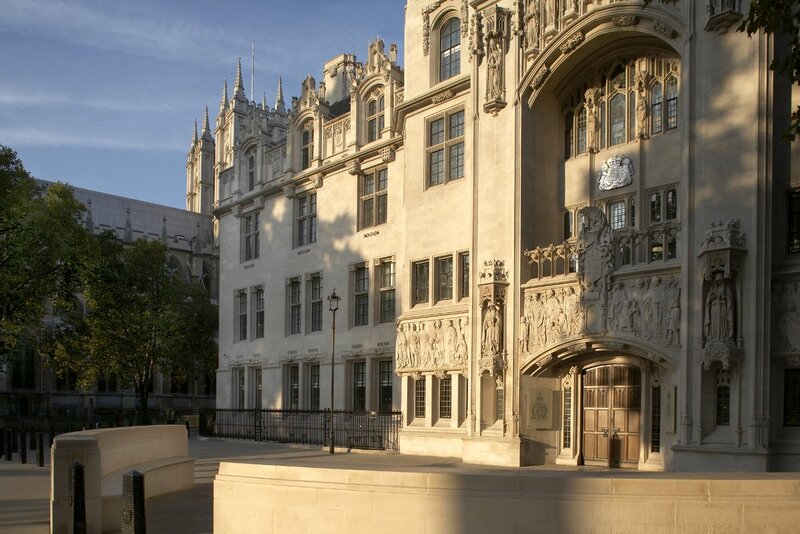 Unlike the UK Supreme Court, the Court of Appeal is bound by its own previous decisions with certain exceptions: Young v Bristol Aeroplane Company 1944. The House of Lords used to regard itself as bound by its own previous decisions but that was altered by a Practice Direction of 26th July 1966 -  1 WLR 1234. The UK Supreme Court did not re-issue the practice direction because it was not necessary - see UK Supreme Court Practice Direction 3. Differences with Strasbourg ~ are "battle lines" now drawn? Mr Haney is serving an automatic life sentence for robbery. He had a minimum term of 3 years which expired on 13th November 2012. 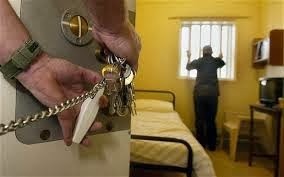 He claims that his Article 5 and 14 rights have been breached as a result of the delay in his transfer to open prison conditions (such transfer being a condition for his being realistically considered suitable for release by the Parole Board). The Law Commission has published a report - Juror misconduct and internet publications - (pdf 141 pages) - which includes a recommendation for a new criminal offence for jurors conducting prohibited research. In total, the report contains 31 recommendations. 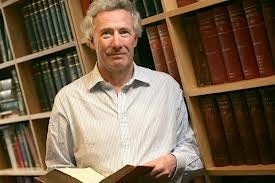 Clearly, a case must be decided on the basis of the evidence presented to the court and extraneous material should not be taken into account - The Guardian - Law Commission floats plans to stop jurors researching cases online. In recent times, a number of jurors have been punished for contempt of court. 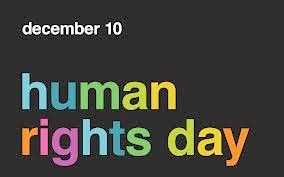 10th December - Human Rights Day. In a letter to The Telegraph, leaders of many 'civil society groups' have urged that Britain stands firm on the European Convention on Human Rights and the Human Rights Act. Both of these were inspired by the Universal Declaration of Human Rights. The British Institute of Human Rights Press Release calls for leaders to stand firm on human rights at home. "The British used to be proud of their record on human rights. We are, after all, the land of the Magna Carta, signed by King John at Runnymede in 1215." "The idea that the citizen might have rights which he could assert against the State was unknown to us"
"The puzzle was how to combine enforceable convention rights with the sovereignty of the UK Parliament"
" ... there are other politicians, some of them now in government, who have identified the Human Rights Act as the problem" - Lady Hale. Some judges are now expressing (extrajudicially) their opinions about the European Court of Human Rights. On 20th November, Lord Sumption (Justice of the Supreme Court) delivered the 27th Sultan Azlan Shah Lecture in Kuala Lumpur - The Limits of Law. 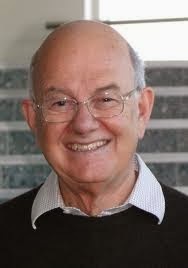 His lecture was considered in my previous post. 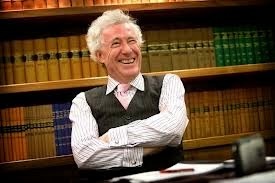 Lord Sumption's lecture was followed by Lord Justice Laws on 27th November in the Hamlyn Lectures 2013 - see Lecture 3 Common Law and Europe. Note - Lecture 1 was entitled Common Law and State Power: Lecture 2 was Common Law and Extremism. On 28th November, Lady Hale (Deputy President of the Supreme Court) - Warwick Law Lecture 2013 (PDF) - What’s the point of human rights? 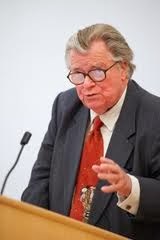 The following is my look at the lecture by Laws LJ. I express my view as a citizen who quite likes the human rights protection that we have. I certainly do not wish to see it weakened. 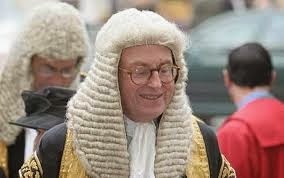 Lord Justice Laws - Common Law and Europe. There is much of interest in this lecture. 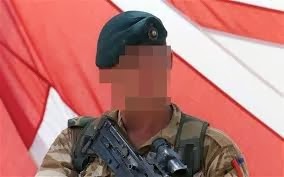 On 11th November, the case of "Marine A" (as he was then to be known) was covered - Murder in Helmand. The Court Martial has imposed a sentence of life imprisonment with the minimum term of imprisonment before eligibility for parole set at 10 years (less some time on remand). The sentencing remarks of His Honour Judge Jeff Blackett are here. In addition, the Marine is to be reduced to the ranks and dismissed with disgrace from Her Majesty's service. The sentencing remarks state that the court felt it important to send out a strong deterrent message. Service personnel who commit crimes of murder, or other war crimes or crimes against humanity while on operations will be dealt with severely. The deterrent message was also intended to reassure the international community that allegations of serious crime will be dealt with transparently and appropriately. In fact, Lord Judge's speech is wide ranging and his views about the European Court of Human Rights come in the final paragraphs. On 20th November, Lord Sumption (Justice of the Supreme Court) delivered the 27th Sultan Azlan Shah Lecture in Kuala Lumpur - The Limits of Law. This was followed by Lord Justice Laws on 27th November in the Hamlyn Lectures 2013 - see Lecture 3 Common Law and Europe. A further lecture on human rights was delivered in Warwick by Lady Hale (Deputy President of the Supreme Court) on 28th November - Lady Hale at the Warwick Law Lecture 2013 (PDF) - What’s the point of human rights? 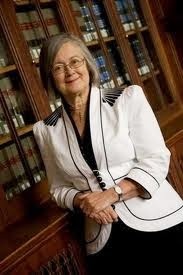 Following hard on the heels of Lord Sumption and Lord Justice Laws, Lady Hale (Deputy President of the Supreme Court) has joined the fray on human rights. Here is a link to her speech at Warwick on 28th November. Here is an antidote to the speeches of her male judicial colleagues. What’s the point of human rights? The Attorney-General has spoken about The future of Europe: Opportunities and Challenges - (Published 3rd December 2013). Attorney General says that he believes that European institutions should ensure they abide by the rule of law. 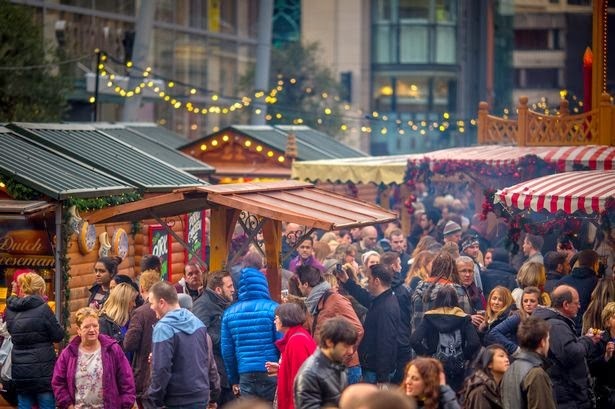 We have become accustomed to various government Ministers raising questions about the European Convention on Human Rights (E Conv HR), the European Court of Human Rights (E Ct HR) and the future of UK human rights protection. See, for example, Theresa May and Chris Grayling on Human Rights - (Public Law for Everyone 30th September 2013). Some judges are now expressing (extrajudicially) their opinions about what the proper role of the European Court of Human Rights should be. On 20th November, Lord Sumption (Justice of the Supreme Court) delivered the 27th Sultan Azlan Shah Lecture in Kuala Lumpur - The Limits of Law. This was followed by Lord Justice Laws on 27th November in the Hamlyn Lectures 2013 - see Lecture 3 Common Law and Europe. Christopher Booker in Sunday Telegraph (1st December 2013) - "Operate on this mother so that we can take her baby" - 'A mother was given a caesarean section while unconscious - then social services put her baby into care.' The mother had been "sectioned" under the Mental Health Act 1983 s.3. Some more light is thrown on the case by a response from Essex County Council dated 2nd December 2013. According to this response it was the Health Trust's clinical decision to apply to the court for permissions to deliver her unborn baby by caesarean section because of concerns about risks to mother and child. (The application would have been to the Court of Protection). 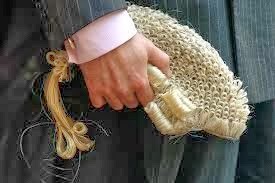 Of course, the matter raises acutely the need for judgments to be published in all cases by the Court of Protection so that the public can see the reasoning for particular decisions. Many judgments are available via Bailii - Court of Protection.